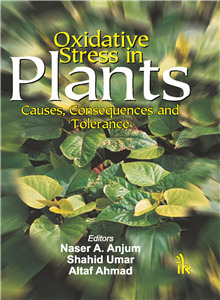 Shahid Umar | I.K International Publishing House Pvt. Ltd.
SHAHID UMAR is Associate Professor at Hamdard University, New Delhi, India. Dr. Umar obtained Masters and Ph.D. in Botany from Aligarh Muslim University, Aligarh, India. 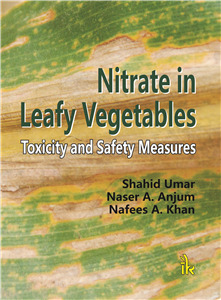 He has research experience of 24 years including his incredible 10-years service as ‘Plant Physiologist’ at the Potash Research Institute of India, Gurgaon, India in the fields of ‘Plant nutrition and abiotic stress tolerance in crop plants’ including alleviation of nitrate toxicity in leafy vegetables, heavy metal toxicity, osmotic stress, nitrogen- and potassium-use-efficiency in selected field crops. Dr. Umar is a devoted researcher and has supervised theses for Ph.D. He has to his credit more than 100 significant research papers and 7 books published by reputed publishers. Dr. Umar is a regular reviewer of research manuscripts and is on the panel of editorial boards of journals of national and international repute, and is also a member of important national and international scientific societies. He has been awarded IPI-FAI, International Award (2003) instituted by International Potash Institute (IPI), Switzerland.